Tie shoes don’t have to be dull. 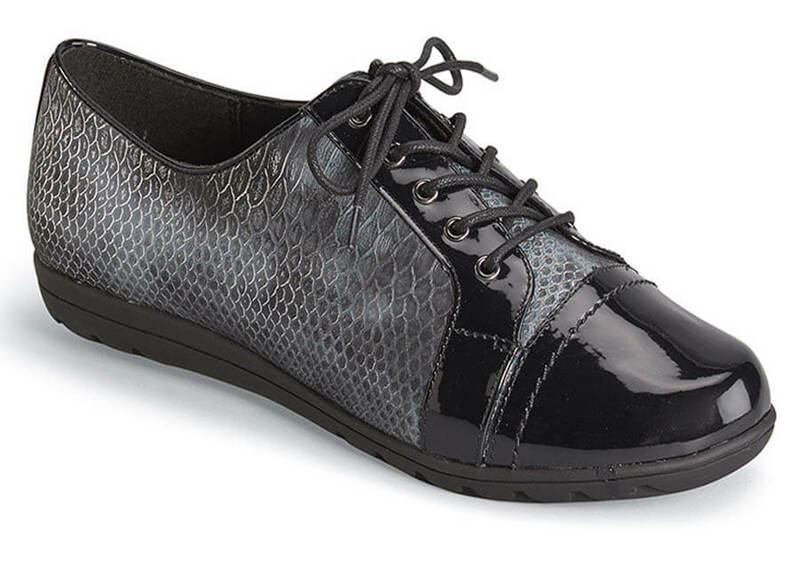 With dramatic faux snake uppers and gleaming patent toe cap and lace stays, the black Hush Puppies’ Soft Style “Valda” oxford certainly isn’t! 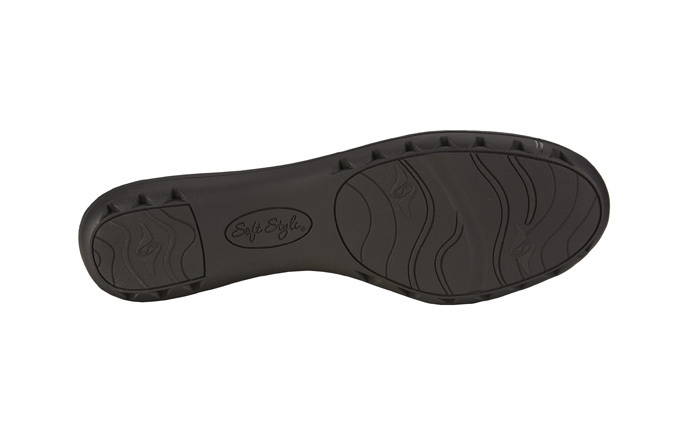 It has lots of great comfort features, too, including smooth fabric linings, a suede-covered foam footbed and a molded Soft Style outsole. Originally $58.95. Limited stock in women's EW width in sizes indicated.